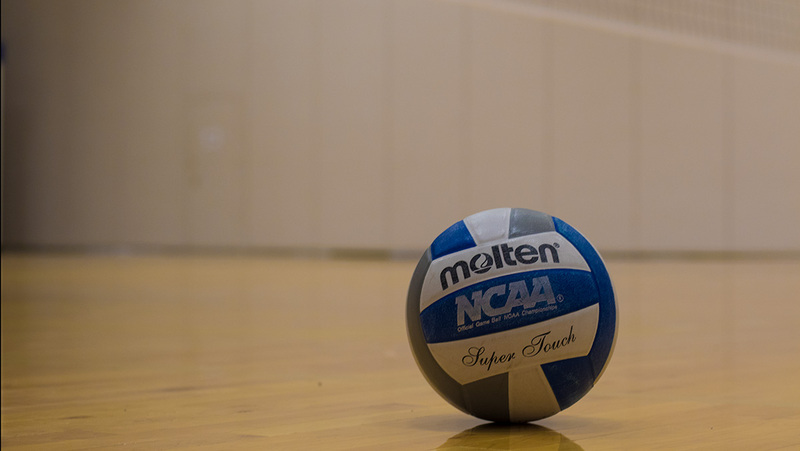 After losing to Stevens Institute of Technology in its regular season, the Ithaca College volleyball team defeated the Ducks 3–1 Nov. 6 to win the Empire 8 Conference Championship. Throughout the first set, it was a back and forth battle between both teams. In a fight to the finish, the Bombers defeated the Ducks in the first set 25–23. In the second set, the Ducks got out to an early lead over the Bombers. After tying the score at 12–12, the Bombers took over and dominated the rest of the set to win 25–16. The third set was all about the Ducks, who started off with a big lead. However, the Bombers were unable to come back and sweep the Ducks. Stevens took the third set 25–13. In the fourth and final set, the Blue and Gold battled the Ducks throughout the entire set to keep their lead and defeated the Ducks 25–20 to win the Empire 8 championship. Junior outside hitter Joelle Goldstein led the team with 12.5 points scored and 12 kills. Junior setter Kayla Gromen had 29 total assists. Freshman setter Caitlyn Floyd and junior defensive specialist Marlee Wierda each had two service aces. Sophomore defensive specialist Tara Stilwell had 19 digs. Sophomore middle hitter Amanda Cerruti led the team with four blocks. The Bombers’ next game will be between Nov. 10–13 to play in the opening round for the NCAA Division III Championship.